Although its past is a tricky one to navigate, Cambodia‘s people and those in power are working hard to move on from recent tragedies toward a brighter future. There are plenty of places to visit in Cambodia where you can remember its triumphant past. Many tributes to the Khmer Empire reside in and around Angkor Wat. Exploring these and other parts of the country exemplify why we travel—to not miss out on the world’s greatness. 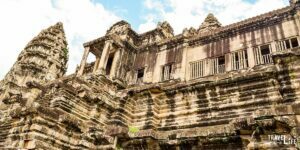 If you want to know about more places to go and things to do, read more of our Cambodia travel guides that hope to capture as much of this wonderful country, its cities, and regions as possible. If you’re looking for a hotel in Cambodia and haven’t booked yet, check here for the best prices and availability. Also, if you’re looking for something specific in this section and can’t seem to find it, let us know and we’ll be happy to help. 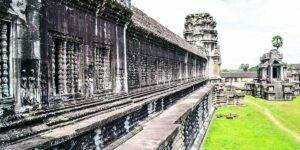 We’re always looking into things to do in Cambodia and will continue sharing what we find with you here on our blog. 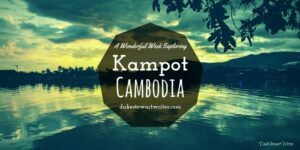 We also welcome any travel writers who would like to contribute your own Cambodia travel guides with a specific city, location, hotel guide, something that might fit into some of our other sections, including Travel Packing List, Baby Travel, or Travel with Kids. Seriously, send your idea our way because we’re always excited to collaborate! Regardless of what you’re looking for or hoping to contribute, we’ll be happy to work with you.